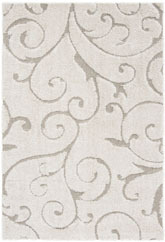 Do you want a rug that’s going to last a long time while still looking great? 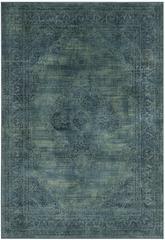 Are you searching for something with a lot of options in terms of color, style, materials, and more? 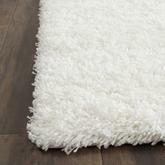 If so, power-loomed rugs are a great option! 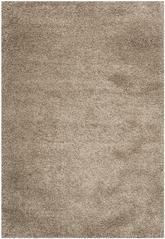 These rugs come in many different types to help you find the perfect solution for your room. Place one in every room of your home and create all sorts of different styles, or use one as the main centerpiece of your home. 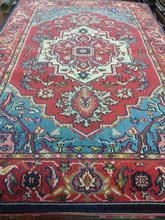 Either way, you’re sure to be thrilled with the results and happy to use power loomed rugs in your interior decorating for years to come. 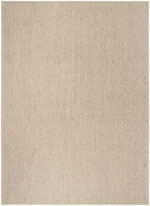 What are Power Loomed Area Rugs? 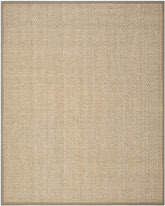 Power loomed area rugs may also be called machine made rugs, although there is a slight difference between the two terms. 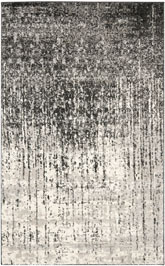 A power loomed rug is a specific type of machine made rug, and it’s designed in much the same way as a traditionally hand loomed rug. 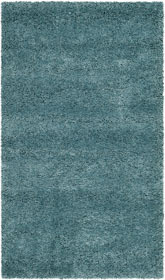 Power loomed rug options can come in many different materials, and since they’re made on machines that aren’t too limited in their abilities, you can find them in just about any color, pattern, or design you’re looking for, too. 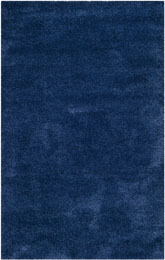 These rugs are usually mass-produced, so if you’re looking for a one-of-a-kind rug, they might not be the best option for you. 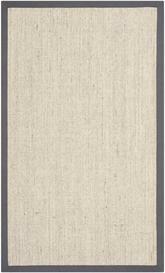 With that said, they make a great choice for anyone looking for a beautiful addition to their home without having to spend a lot of money to get it. 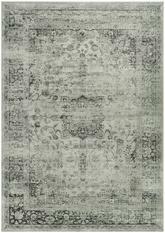 Power loomed rugs may be difficult to tell apart from traditionally hand made rugs, especially when you get one that has been crafted on a high-quality power loom. 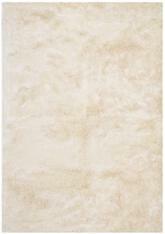 These rugs are often just as sought-after as some varieties of hand looped and hand tufted rugs. 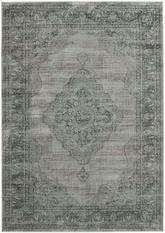 One of the biggest draws of choosing a rug made on a power loom is the durability of these individual types of rugs. 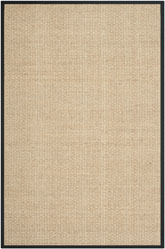 You can use a power loomed rug for up to twice the amount of time in a high-traffic area than you might use a traditionally handmade rug. 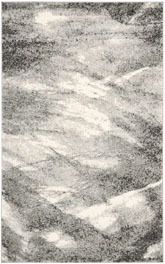 This makes them popular choices with families and people with pets, too. 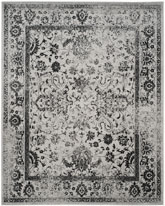 Machine made area rugs are available in pretty much any size you could imagine, so this makes them a great choice for almost any room in your home. 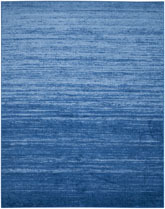 With so many sizes to choose from, you never have to feel too limited when it comes to selecting the right type of power loomed rugs for your needs. 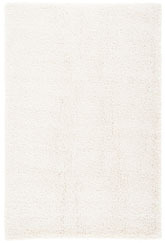 For example, if you plan to use these rugs in the kitchen to help give you some extra support and cushioning while you stand at the stove or sink and cook, you should choose smaller rugs such as 2’ to 4’ wide ones. 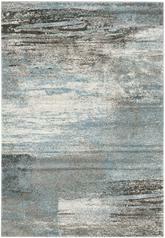 These rugs may be small, but they can look amazing in the right setting. 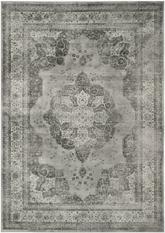 On the other hand, if you plan for your rug to be the center of attention in any room, the bigger the better! 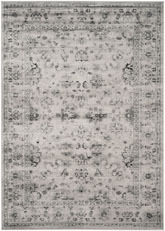 A 10’ wide rug or even a large 12x14 one can be a beautiful and show-stopping addition to any room of your home. 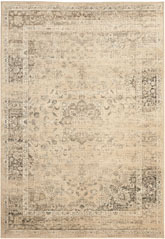 With a rug this large, you can have a ton of options when it comes to decorating. 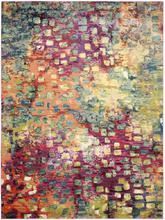 Choose a large rug with a pattern so you’ll be able to incorporate its many different colors into your decorating choices, or select one in a solid color for a bold and contemporary statement that’s sure to surprise and delight all your guests. 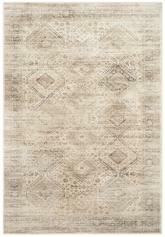 What Shapes of Power Loomed Rugs are Available? 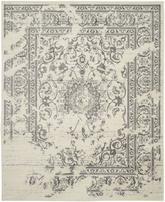 Depending on the type of power loomed rug you’re looking for, you might be able to find it in quite a few different shapes for all sorts of different stylistic purposes. 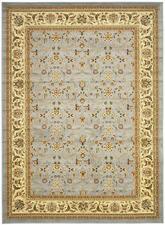 Machine made oriental rugs, for example, are a traditional style that are available only in traditional shapes. 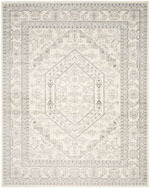 You can find these in standard rectangle and square shapes, as well as in some runner rug shapes too. 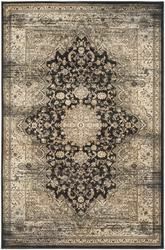 While you might be able to choose oriental-style machine made rugs in other shapes, they won’t be quite the same and won’t fit the look entirely. 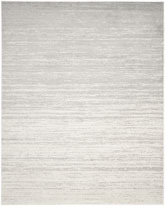 On the other hand, if you’re looking for a more abstract design, a solid color, stripes, or a print like floral, these rugs are available in tons of different shapes. 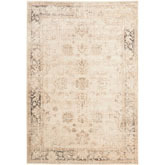 Stick to the traditional square and rectangle if you like, but don’t be afraid to choose something a little different, like a large 8’ round rug for your favorite room. This can a be a fun and quirky style that many other people might not use in their homes. 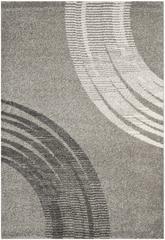 For something even more unique and original, try decorating with an oval power loomed rug instead. 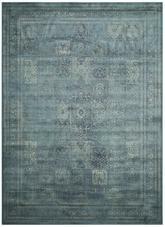 What is the Best Room for Using Power Loomed Rugs? 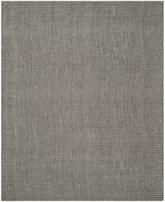 Machine woven rugs can work well in absolutely any room of your home. 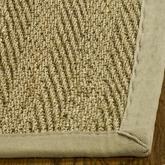 Because of their durable design and the frequent use of stain-resistant materials in their production, you can incorporate them into the style of any part of your home. 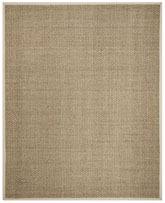 For example, if you’re looking for something that won’t get too damaged even with food spills and frequent foot traffic, a power loomed rug can be a great addition to your dining room or kitchen. 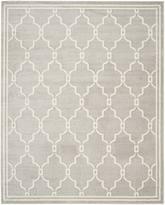 Select a large round rug for the dining room, or work with matching runners in both of these rooms to tie your stylistic choices together. 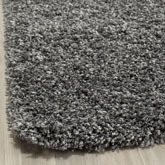 On the other hand, if you prefer to use your rug as a part of the entertainment portion of your home, a den or living room can really come to life with the addition of a large power loomed rug to tie the room together. 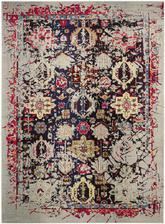 These rugs are built to last, so even if you have a lot of people walking on your living room on a regular basis—or if you tend to entertain with snacks and drinks in this part of your home—you don’t have to worry about causing damage to your beautiful rug. 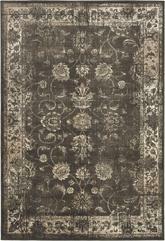 You have a lot of options when it comes to finding a power loomed area rug that suits your needs. 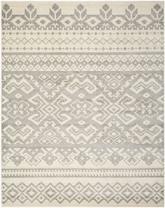 You can purchase these rugs as small or as large as you like, and since they’re made on machines, you’re not too limited in terms of patterns and designs you can work with. 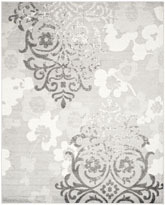 Transitional, traditional, and contemporary rooms can all look amazing with a power loomed rug to help pull them together. 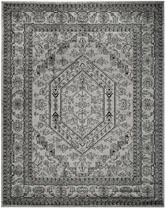 Best of all, if you have kids, pets, or just a big family or a lot of guests on a regular basis, you won’t have to worry about the durability or lifespan of your favorite new rug.